Prineta, LLC takes online security very seriously. We have taken extra measures to ensure that any personal information submitted to us through our website is safe and private. Our website uses SSL (Secure Sockets Layer) encryption to ensure that all information submitted via our website contact forms is secured. The Secure Socket Layer certificate, or SSL, allows for encryption of data when it is sent from one place to another online. This is usually used (and required) for e-commerce websites that sell goods, in order to protect users credit card information. When SSL security is enabled, any data transmitted over the website will be encrypted, preventing it from being intercepted by a third party. HTTPS verifies that the website is the one the server it is supposed to be communicating with. Because HTTPS prevents tampering by 3rd parties, it stops “Man-in-the-middle” attacks, making the site more secure for visitors. In Prineta’s case, SSL is mostly used to protect the information submitted via our contact forms and application forms which goes to our database full of information from users like you. Can you explain SSL in a more simple way? Imagine you want to send Prineta a physical letter in the mail with your personal information included. Normally you would just seal the envelope and put it in the mail with our address on it. The problem is, the mailman, or a hacker, or anyone who sees the envelope can just open it up and read it. SSL is a type of certificate used to make sure the contents of the packet (envelope) don’t get read. It’s like putting your note in a safe and you’ve given Prineta the combination to the safe ahead of time. 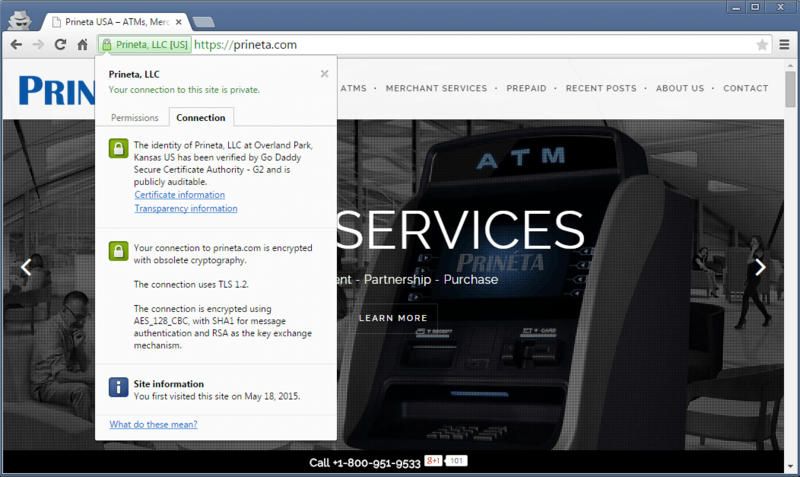 Prineta is the only one who can see what’s in the safe, because only we have the combination (the SSL certificate). HTTPS is an altered version of the HTTP protocol which makes sure whoever tries to open the safe has the key. If anyone tries to read the letter and they don’t have the key, all they’ll see is garbled (encrypted) data. Instead of your exact name, phone number, physical address, email address, and other information, it will just look like a jumbled bunch of letters and numbers. Pretty cool huh? How do I know if it is really secured?